Set in the weeks leading up to an idyllic New England wedding, this “enticing and refreshing” (Nancy Thayer, New York Times bestselling author) novel sparkles with wry wit, sweet romance, and long-kept family secrets. Iris Standish has always been the responsible older sibling: the one with the steady marriage, loving family, and sensible job. But all of a sudden, as her carefully-constructed life spins out of her control, a cryptic postcard from her estranged sister Leah arrives at the perfect time: Please Come. Iris seizes her chance to escape to her childhood lakeside home, where Leah is planning her summer wedding to a man their New Hampshire clan has never met. Against a backdrop of dress fittings, floral arrangements, and rehearsal dinners, Leah hides secrets of her own. And while her sister faces a past that has finally caught up to her, Iris prepares to say good-bye to a future that is suddenly far from certain. As new love beckons and Hampstead Lake shimmers in the background, Iris must decide when to wade in cautiously and when to dive—and, ultimately, how to ferry herself to safe harbors in this enticing novel of second chances and the ties that bind. This reading group guide for The Lake Season includes an introduction, discussion questions, and ideas for enhancing your book club. The suggested questions are intended to help your reading group find new and interesting angles and topics for your discussion. We hope that these ideas will enrich your conversation and increase your enjoyment of the book. Iris and Leah Standish have never quite seen eye to eye. As sisters growing up on Hampstead Lake, Iris would carefully dip her toe in the water as Leah dove in headfirst. In high school, Iris focused quietly on her studies as Leah threw herself into the social scene. Twenty years later, Iris has a big house in the suburbs with her lawyer husband and three children as Leah bounds back from her cross-country adventures with a successful and charming fiancée on her arm. But behind Iris’ picture perfect life is a crumbling marriage, and Leah’s bright plans for her fairy-tale wedding are threaded with doubt, and a dark secret. It only takes one hot, New England summer to unravel everything that Iris and Leah think they know about each other. For despite their incongruent paths, the Standish sisters both find themselves back in their childhood home, dangerously close to losing everything. The Lake Season is a stunning testament to the intricate and sometimes tenuous bonds of sisterhood and family. 1. What does Leah’s postcard—“Please Come”—say about the current state of her and Iris’s relationship? Why does Iris say yes to such an enigmatic missive? 2. Iris finds solace in her friendship with Trish, who tells her to “embrace the dirt,” in both the garden and her life. What do you think she means by this? Does Iris follow her advice? 3. Not only does Iris have to navigate her sisterhood with Leah, she also has to foster one between her daughters, Sadie and Lily. What complications echo between the two relationships? How are our identities formed by our siblings? And how much can a parent really intervene? 4. Leah scoffs at Iris’s notion that a life can be reduced to chapters. Who do you think is right here? Why? 5. At the dress fitting, Iris catches a troubling glimpse of Leah staring blankly in the mirror and smearing ChapStick on her lips. Discuss Leah’s undercurrent of mental illness throughout the narrative. Why do you think Millie and Leah feel the need to be so secretive? Especially when it comes to Iris? 6. Iris’s high school crush, Cooper Woods, is an unexpected source of comfort. He also teaches her about “sistering,” a woodworking trick in which a new beam is installed to support an old beam. How does this tie into the themes that resonate throughout the novel? 7. Why do you think Leah panics when she senses that Cooper and Iris are developing romantic feelings for each other? How does it reconfigure the social order of their relationship? Discuss the jealousies at play. 8. At the Hampstead Brewery, Trish suggests that Iris “stayed away long enough to make it hard to come back.” Do you agree with Trish? Is Iris partially responsible for her family’s emotional distance? What are the consequences implicit in returning home? 9. As Cooper and Iris get closer, Iris realizes she can’t move forward until she figures out what she wants. Leah also has great difficulty facing herself, as evidenced by her nervous breakdown and near drowning. Why do you think this is such a difficult task? How do we get stuck in the trenches of adulthood? 10. When Leah finally opens up about her relationship with Kurt in Yellowstone, Iris is taken aback to hear that Leah considers her to be the stronger sister. Cooper and Trish echo this sentiment. Why can’t Iris see herself this way? How do our self-perceptions differ from those around us? 11. Discuss Iris’s official transition from literary agent to cookbook author. How does this signal a definitive shift in her life approach? What is different about the two roles? 12. Stephen is heartbroken to hear that Leah has lied to him about her pregnancy and subsequent medical condition. Discuss the role that trust plays throughout the narrative. Where and when is it most essential, especially for Iris and Leah? 13. As Iris prepares to begin a new phase of her life, her father reminds her that there is “more than one road leading home.” How does this affect her decision to follow Cooper, instead of Paul? 1. Hampstead Lake figures prominently in the narrative as a source of peace and comfort. Take a relaxing group trip to your local watering hole, whether it’s the beach, lake, or local pool. 2. Despite their differences, Leah and Iris are both big believers in the curative powers of a good martini. Host a martini night and open up about your own best sibling stories—the good and the bad! In honor of Trish and Iris’s new farm-to-table cookbook, patronize your local farmer’s market and cook up a fresh dish to go with those drinks. 3. 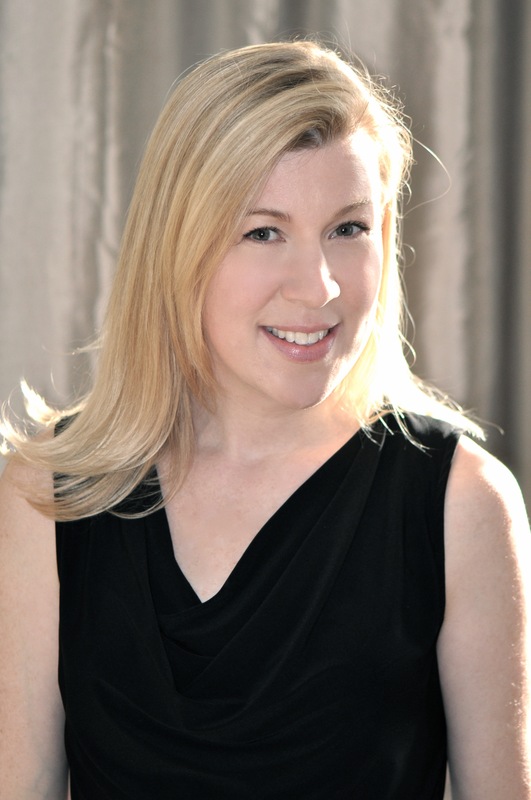 Check out another incredible sister story from Emily Bestler Books, Jodi Picoult’s My Sister’s Keeper. Or rent the feature film, starring Cameron Diaz. Hannah McKinnon’s The Lake Season is a pure delight. Iris Standish is such an appealing woman, handling an overload of family calamities with good sense and good will, not to mention a few really good times. It’s a bonus that the setting on Lake Hampstead is as enticing and refreshing as McKinnon’s voice. McKinnon’s voice is sharp and evocative…Making use of a gorgeous setting and serious themes, this novel rises above a flock of fluffier beach reads. 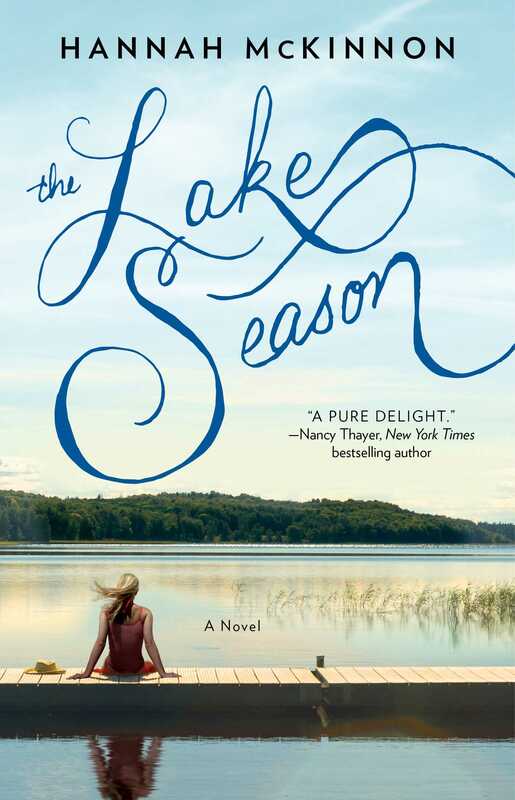 Two sisters, a glittering New England lake, and one desperate, last-chance summer set the stage for Hannah McKinnon’s emotionally affecting new novel, The Lake Season. The story features the complex Iris and her unpredictable sister Leah but its power extends well beyond the beautiful, heartbreaking bond between these two women. A memorable rumination on life, loss, and how to find a path home. Family and secrets colliding at a lakeside wedding…[a] must-read. This is a beautiful tale of sisters, a heartfelt journey of truth and choices that will leave you deeply satisfied. A multilayered, nuanced portrayal of modern divorce... McKinnon is a talented observer of the family dynamic, weaving disparate personalities together as they navigate relationships, self-preservation, and redemption. Fans of Allison Pearson’s I Don’t Know How She Does It (2002) and Maggie Shipstead’s Seating Arrangements (2012) will love this romantic yet realistic novel. Hannah McKinnon's lyrical debut tells the story of a pair of very different sisters, both at a crossroads in life. McKinnon's great strength lies in her ability to reveal the many ways the two women wound - and ultimately heal - each other as only sisters can. Fans of Debbie Macomber and those looking for a great summer read will enjoy this first foray into adult fiction by McKinnon (Franny Parker; The Properties of Water)...the story features engaging character development and an on-again, off-again romance that will keep readers intrigued. Breezy...Summer isn’t summer without an enticing beach read, and Hannah McKinnon delivers just that. Charming and heartfelt! Hannah McKinnon's The Lake Season proves that you can go home again; you just can't control what you find when you get there. Charming, absorbing and perfectly paced, The Lake Season is as full of warmth as summer itself. Don't blame Hannah McKinnon if this cinematic tale has you glued to a beach chair until it's finished. Sometimes funny, sometimes sad - but always bursting with compassion and sly humor. The Lake Season is a joy to read for anyone who cherishes the complexity and richness of family dynamics. Impossible not to be swept along by the characters. The perfect book to spread out with luxuriously on the beach. Here is sisterhood in all its complexity, rich with tenderness, resentments and shared jokes, disappointment, admiration and profound love. Those who have a sister will read this book and pass it on to them; those who do not, will wish more than ever that they did. An emotionally charged story about returning to yourself. Seasons of change take us home to the places and the people who shelter us. Well-told, and in turns sweet and bare, The Lake Season offers a compelling tale of family secrets, letting go, and the unbreakable bonds of sisterhood. A delicious tale of sisters and secrets. Hannah McKinnon’s writing style is as breezy as a weekend at the lake, yet her insights into the murkiness of family interactions run deep. The takeaway of this compelling read is clear: you can know someone your whole life and not know them at all. The Lake Season is one of those rare gems of a book that’s both impossible to put down and emotionally complex. Do yourself a favor and put The Lake Season on your summer reading list: you’ll love getting to know Iris Standish and her family and Hannah McKinnon’s writing is so beautifully evocative that even the most landlocked of readers will swear s/he can smell the fresh New England summer air. If you enjoy a novel with a gorgeous setting and a side of dark family secrets, you will enjoy The Lake Season, which I recommend to fans of Nancy Thayer and Elin Hildebrand. A novel about sisters and second chances, The Lake Season is a delight to read- perfect for the beach. The Lake Season is totally being added to my 2015 Beach Must Read List! …moving and heartwarming. McKinnon built a beautiful and affecting setting, making it so easy to get sucked into the easygoing atmosphere of being at the lake for the summer. Readers have no choice but to feel laid back and ready for summer when reading this one. Renewal, forgiveness, and self-discovery are all wrapped up in this touching tale. I look forward to reading many more stories by McKinnon. The interactions of mother, and daughters, and sisters was thought provoking...a good book club book. McKinnon is a voice to be reckoned with in women’s fiction...for fans of Jill Shalvis, Elin Hilderbrand, and Wendy Wax, this is a perfect book for a relaxing, summer reading or book club. A Women's Fiction "Best Bet": Conflicted family bonds, Genuine sibling roles; Uplifting ending... Illustrates that no one has the perfect life, even when it looks like it on the outside. Hannah McKinnon can certainly tell a moving story! …Family secrets, love and intrigue in a nice little package. I highly recommend this book! The Lake Season is filled with love, heartbreak, family, and romance. Hannah McKinnon pulled me right in from the very first page and never let me go. "Soak up a great beach read!"